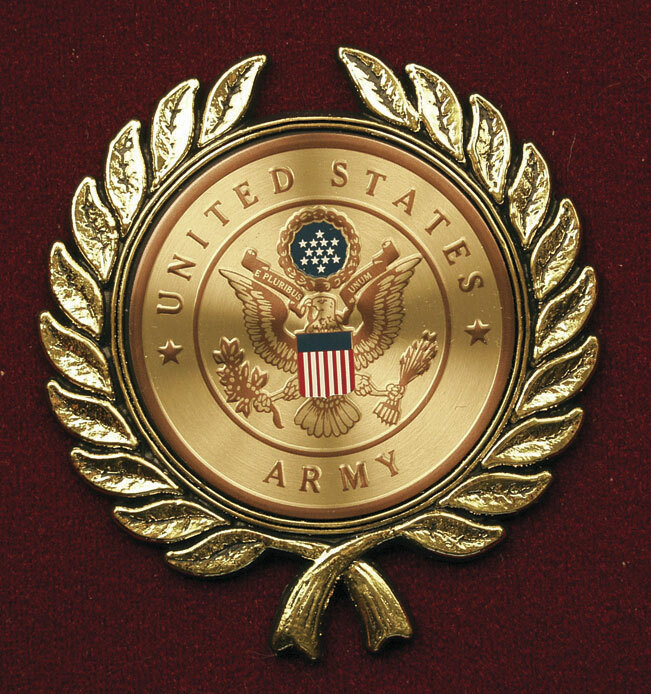 Richly detailed colored military medallions on gold foil surrounded by a laurel wreath. These Military Service Appliques allow families to customize a memorial urn to honor their loved one. These urn appliques come with industrial sticky backs that can be applied to any flat surface. Ships the same day if ordered by 11am Eastern Time. Ships from the East Coast.